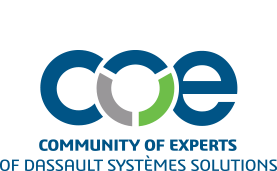 With more years of collective industry experience than can be counted, COE is the place for users of all Dassault Systèmes solutions to share experiences, continue learning and influence the future of Dassault Systèmes solutions. Here, we spoke with Eric Green of DELMIA to discuss his work with the solution. As a veteran of the manufacturing, supply chain and software experience industries, Eric Green is no stranger to enterprise software, like DELMIA — and he's excited about the future of the solution. "Manufacturing and supply chains are ever-changing and DELMIA is at the core of these changes," Green said. "With the evolving technological landscape ranging from AR/VR to IOT to analytics, and the convergence of IT and OT, it’s a dynamic environment. 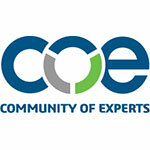 Working with customers who are using our solutions and addressing their business objectives is very rewarding. In manufacturing, we are fortunate to be able to see the physical changes that take place in factories as a result of teaming between DELMIA and customers. The combination of technology and passionate people solving problems is what excites me working at DELMIA." There's no doubt among DELMIA users that the product streamlines and improves everyday work. More importantly, the results from DELMIA translate to improved speed and agility in operations, Green noted. "For each user, this, in turn, brings more satisfaction in performing their activity or task efficiently. By empowering the manufacturing workforce, we see greater contribution of each worker to their respective company; and each company gains benefits in efficiency, time, quality and costs." Just as important as the functionality itself, DELMIA still has room to expand and morph into an even stronger solution. There are many exciting reveals coming in 2019 that companies could benefit from. Paving the way of the future is what this industry does best. "Today, we bring together the virtual world of modeling and simulation with the real world of product prototypes and factory production. DELMIA can connect these worlds, and establish a holistic strategy across modeling, execution, and optimization. In the future, we are going to apply the same constructs and capabilities across all aspects of operations. This will reshape businesses and industries as we execute this vision."